The common standard used to perform Eddy Current inspections on Aluminum components within the Air Force unless otherwise specified by the cognizant weapon system engineering authority. 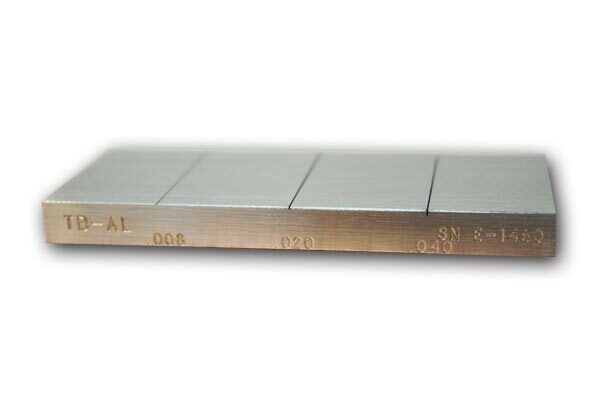 The standard is a 3 plate assembly measuring 4" x 7" x 1.06". Contains 20 fastener holes, with diameters ranging from .156" to .750"., 2 screw holes, and 2 dowel holes. There are 66 E.D.M. notches in various locations. Notch depths and lengths vary. Widths for all notches is .004". Normally supplied in 7075-T6 ALUMINUM, also available in 4340 Steel, 304 Stainless Steel, 6/4 Titanium, and other materials. Most common material is 7075-T6 Aluminum. Many other materials also available. Specify thickness, hold diameter, and overall dimensions. Contains 10 different E.D.M. nothces. 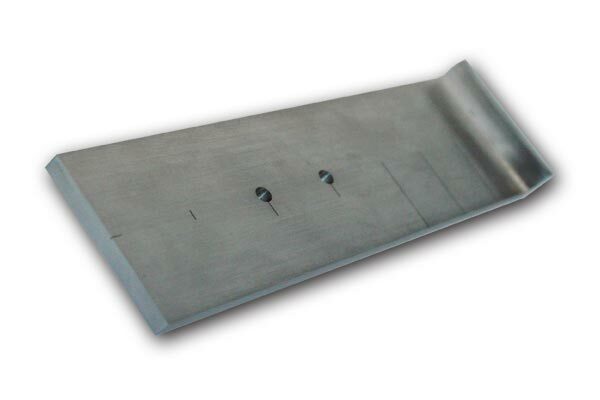 Standard materials are: 4340 Steel and 7075 T06 Aluminum. 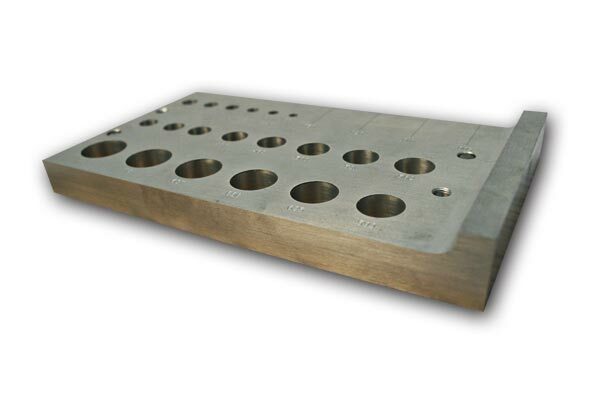 Contains 3 .006" wide slots at depths of .008", .020" and .040". 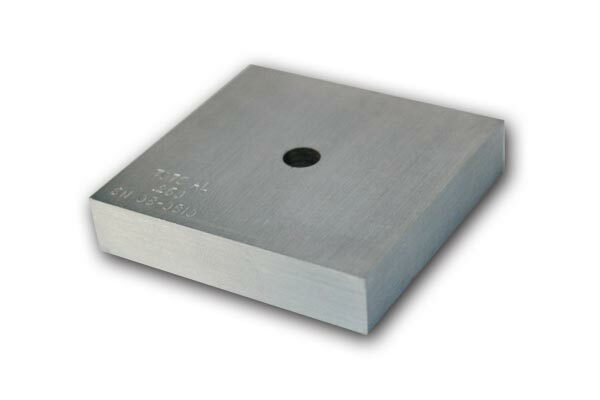 Standard materials are: 7075-T6 Aluminum, 4340 Steel, 6AL/4V Titanium, 304 Stainless Steel, AZ-31 B Magnesium. Other materials available.